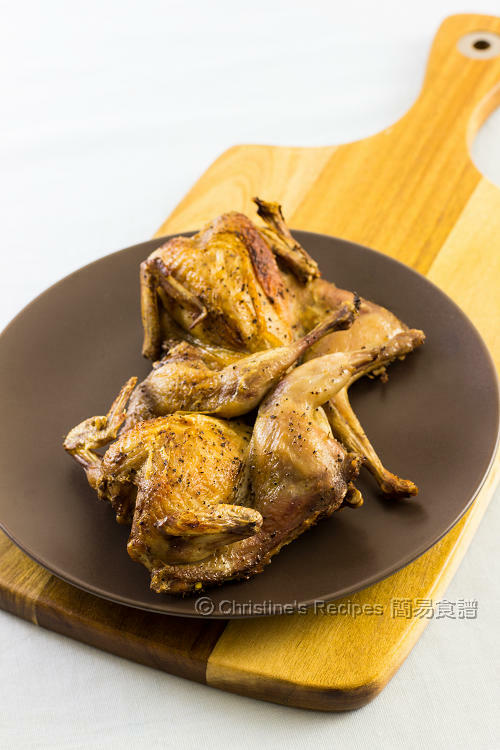 where can you get quails in brisbane? I got them from 天天, at Sunnybank Plaza. You might ask the staff there to help you. 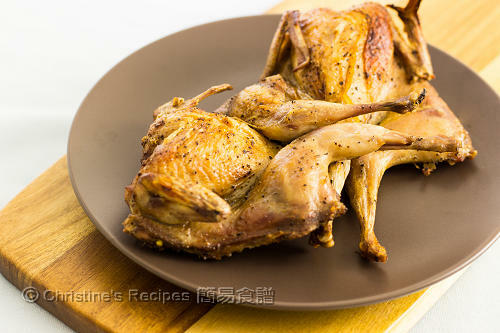 A squab is a bit larger than a quail, but won't take too long. You might try to bake 25 to 30 minutes, depending on how big it is. Insert a needle into the thickest part of it. If clear liquid runs out, it's cooked through.